Artificial intelligence is not only useful for having good opponents in video games, or for helping you to decide in which currency you should invest this week. It also has an important application in the world of digital marketing, SEO and online reputation management. Bots have become an essential element to encourage the interaction between brands and users in volumes and times that a human could never reach. In their chatbot format, these technologies can help companies to monitor the negative feedback about them, to have active conversations with their clients in real time (and even 24/7,) helping them to solve their questions and incidents in an automated and almost natural way for any user, or, at least more natural than the traditional automated telephone customer service systems, which, in many cases, are one of the main online complaints from users, which becomes an important source of bad reputation. But what is a chatbot? Actually, they are the second most important trend in the current digital world after virtual reality. In essence, chat bots are automated systems that can perform the same activities that a human would do but with much more effectiveness and speed. For example, a health insurance chatbot can help to diagnose an illness or injury to a patient online without the help of a human doctor. This would make the hospital admittance process even more fluid; and, in case the patient does not need medical attention, the chatbot could tell the patient what medicine to take, how often and how much. This would mean a time, energy and money saving for a medical institution. The interesting thing about artificial intelligence systems, such as chatbots, is that they can be able to learn and can be updated permanently, so that they process larger amounts of information and, subsequently, solve problems with greater capacity. Their great semantic ability allows a machine to engage in a complex conversation with a human being and to provide personalized responses to what this user needs. An excellent example is Google Assistant, a super-chatbot that, many experts say, will be very good to follow your questions in a natural way, and, therefore, to offer you more personalized results the more you use the tool. It is something like a friend who learns more about you every day and can become even more useful the more he knows you. Facebook also announced the use of chatbots last year. This initiative was aimed to the automation of customer service and purchases via e-commerce, as well as offering interactive content and new experiences to users. Facebook chatbots chat with humans by answering their questions and making suggestions. By doing this Facebook will not need to hire an army of workers for helping millions of users around the world. In the case of Facebook, this functionality is integrated into its Messenger app. For example, the BBC can send you a daily summary of the news you are interested in, leaving aside the issues you don’t care about. Of course, this novelty is mainly aimed at companies but will affect in one way or another the almost one billion active users of this messaging app. 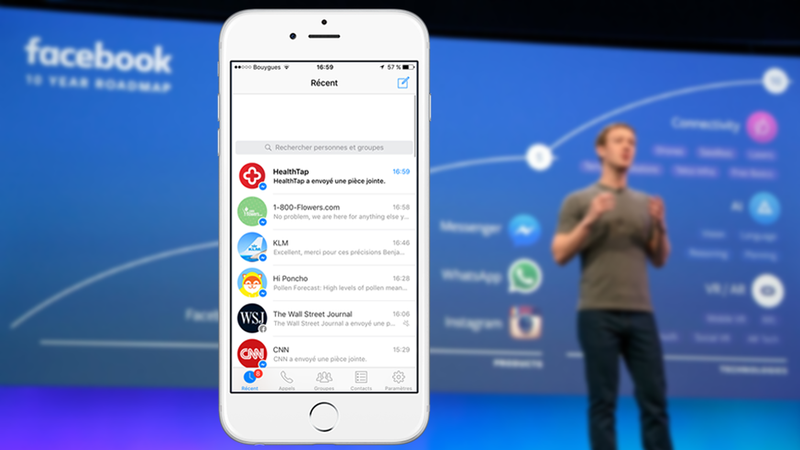 During the F8 Developer Conference 2016, Mark Zuckerberg stated that Facebook Messenger users will be able to talk to chatbots just as they do with their friends. The bots will also be able to interact with users through text, images, links and call-to-action buttons. Thanks to them, users can take actions like booking a room in a hotel, reviewing an online purchase, solving their doubts about a service and more. At present, you are not allowed to make payments directly through Messenger, but it is possible to check catalogs of products linked to the web to complete the transaction there. What benefits can this bring for online reputation management? Although this technology is really in diapers when it comes to this field, the truth is that it may be more useful in the future to use an artificial intelligence system than what we are doing now. It would be a success: To monitor bad reviews, comments and shares that may harm a company’s digital image (and even prevent a potential reputational crisis,) and, on the other hand, having a chatbot that allow users to ask and solve problems about the company’s products or services, in a natural, personalized way. For now, online reputation management, to a large extent, is a quite manual activity. Although there are important and automatic SEO tools that allow a brand to monitor what is said about them on the Internet, what artificial intelligence could offer (including chatbots, in particular,) would mean a huge leap in the evolution of this industry in the years to come. These systems are about redefining the digital marketing strategies as well as the way SEO is performed (voice search, technologies for example.) Online reputation management will certainly also be influenced by this, and we all hope that in a very positive way.